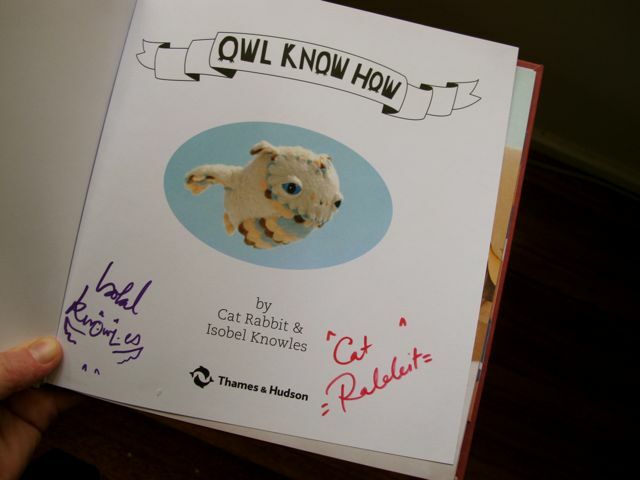 If you live in Melbourne-town you're likely to have heard of this amazing book project, Owl Know How. 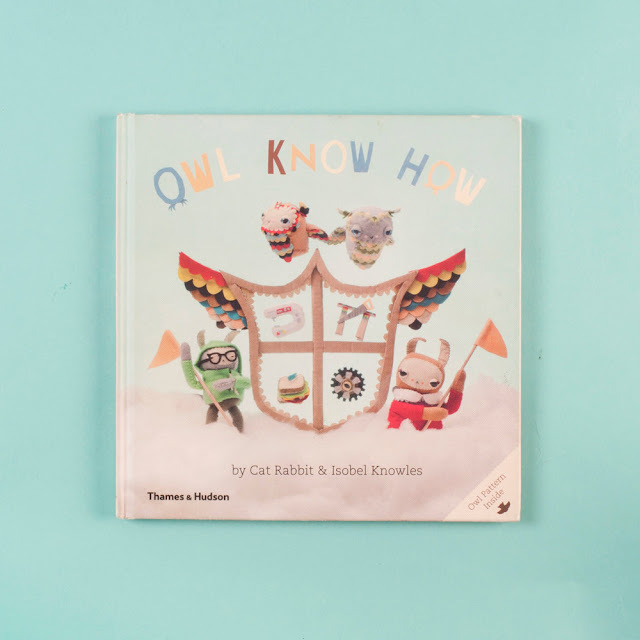 If not, read on, because I guarantee you will fall in love with this gorgeous children's book. Owl Know How is about how Cornelia Rabbit uses her ingenuity (owl-know-how) to solve the problem of her cloud city falling into the treetops. I particularly like the scenes where the upper tree branches start intruding on their every day lives...so funny! Cornelia's solution to this problem is clever, adorable and quirky all at the same time. 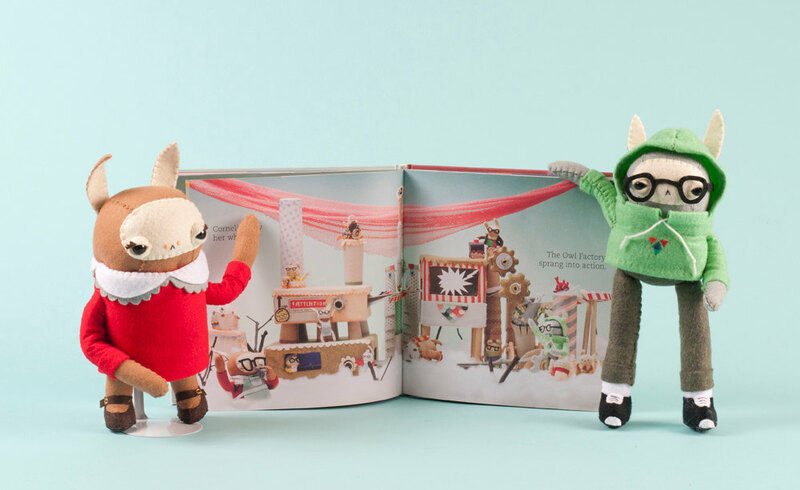 And as if the storyline itself wasn't drawcard enough, you will be charmed and amazed at the illustrations, which are actually photographs of the characters - softie rabbits and owls - all individually handmade out of felt. Yup, made by hand. The city in which their story is enacted is also handmade out of cardboard. 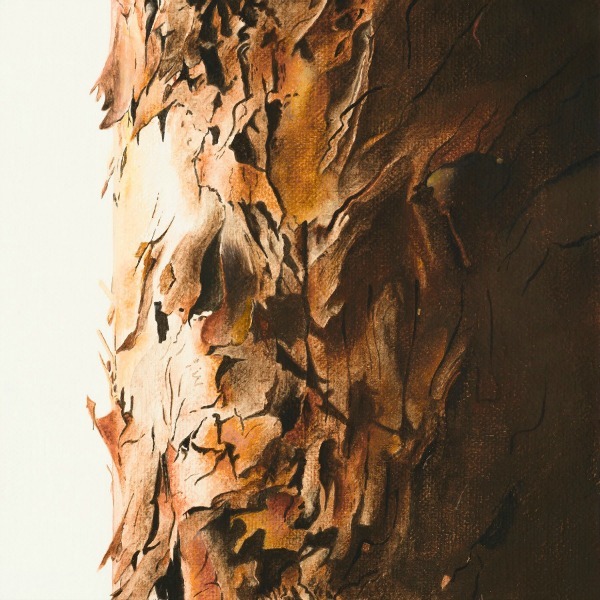 The work that went into the creation of this book is awe-inspiring. The book also comes with a bonus owl pattern inside so you can create your own owl softie! 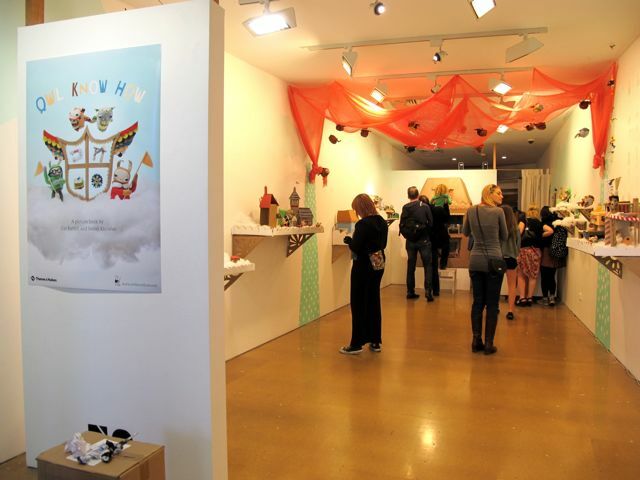 I went along to the recent exhibition of the original work at No Vacancy Gallery with my friend Ros from Sew Delicious and I'm so glad we did! It was amazing to see the gorgeous detail of the 'sets' up close and even better, Cat Rabbit and Isobel Knowles were there so we got our books signed too. I'm such a sucker for a signed book. What a thrill! My signed copy - hooray!